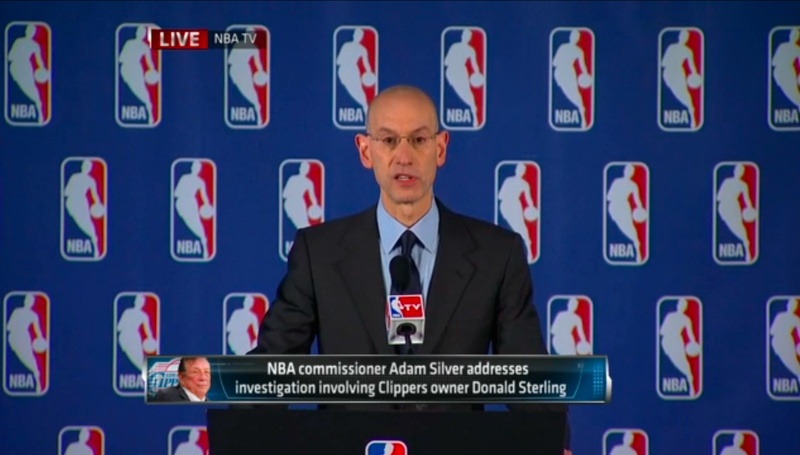 „Effective immediately, I’m banning Mr. Sterling for life from any association with the Clippers organization or the NBA. Mr Sterling my not attend any NBA games or practices, he may not be present at any Clippers facility, and he may not participate in any business or player personal decisions involving the team.“…“I’m also fining Mr. Sterling 2,5 million dollars, the maximum amount allowed under the NBA constitution. These fund will be donated to organization dedicated anti-discrimnation and tolerance efforts that will be jointly selected by the NBA and its players‘ association. As for Mr. Sterling’s ownership on the Clippers, I will urge the board of governors to exercise its‘ authority to force a sale of the team and will do everything in my power to ensure that that happens.“ said NBA commissioner Adam Silver yesterday after the release of Sterling’s tapes with his racist statements. Will this stand alone decision help to change the systemic nature of racism in US sports associations?